Loss of productivity through the consequences of injuries, such as repetitive strain conditions or back problems due to an inappropriate and uncomfortable working position can be avoided with the help of modern ergonomically designed workstations and assembly lines. 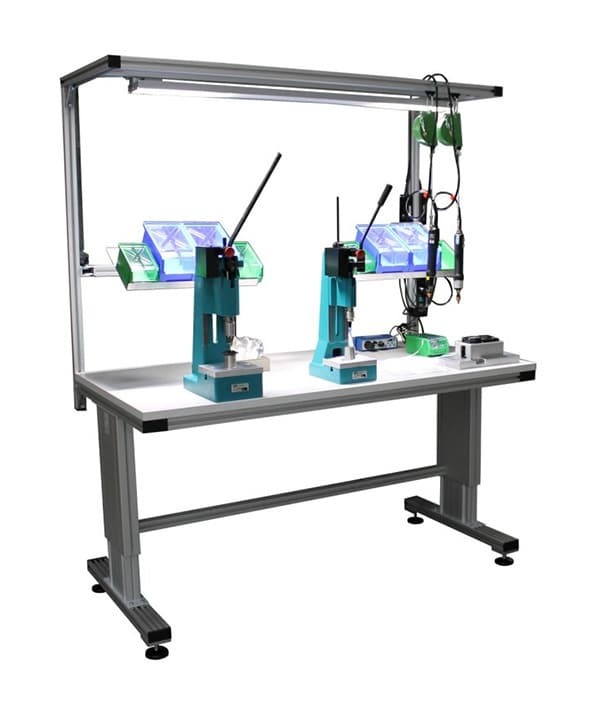 One of the key components in the design and manufacture of such workstations is the lifting device which can control the height and tilt of the work surface. This is an essential feature when accommodating the varying statures of the workforce manning workstations in shift pattern operations, for example. We now offer the Hexalift range of lift pillars manufactured by Baumeister and Schack, one of the leading German manufacturers of this type of specialised lifting device. The Hexalift range is an extremely sturdy yet slim and compact product. With a maximum bending moment of 1200Nm this is one of the most rigid lift pillars on the market. 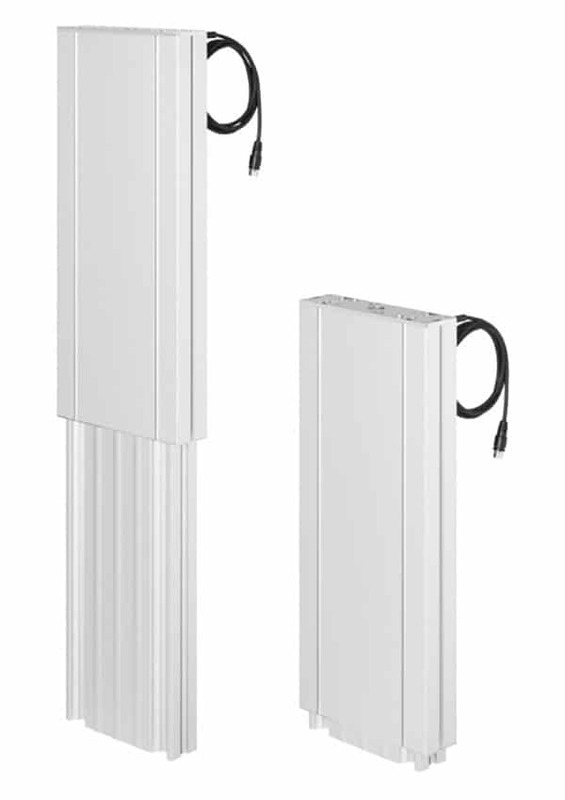 The lift pillars house a fully-integrated motor, thus maintaining an extremely pleasing aesthetic appearance, free of any built-on additional components and six slots in the casing allow for simple mechanical integration with aluminium profile systems. Available in four different versions with a lifting capacity ranging from 80 Kg to 320 Kg, each version can offer four different strokes per size; 350/400/450 and 500 mm as standard and customised versions up to 700mm. The 24Vdc actuators use Hall technology to measure the rotation of the motor and thus ensure the synchronisation of two or more actuators. Together with control boxes available, this enables synchronous operation of up to 12 lifts in a single application. The lift pillars are operated by industrial hand-switches, usually located on the underside of the bench or table, and are also available with four- and six-position memories. A more attractive alternative to the hand-switches are touch switches, also available with position memory. The most common applications are assembly lines, work-benches, machine frames or tables for diverse manufacturing or test equipment. They offer safe and comfortable working conditions and are especially beneficial in operations with multi-shift teams where the team members can quickly adjust the height or angle of the working surface to suit their stature.